The children were taken to Redington-Fairview General Hospital for treatment, while five other children aboard the bus were unharmed. 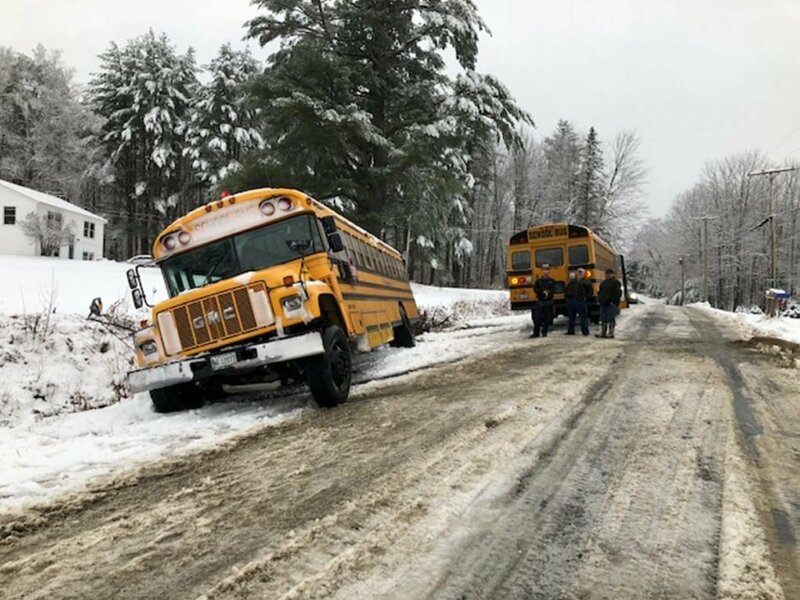 SKOWHEGAN — Five schoolchildren were hospitalized with minor bumps and bruises Tuesday morning after the school bus they were passengers in slid off Malbons Mill Road in snowy conditions. Skowhegan police Chief David Bucknam said the accident happened about 10:15 a.m. as the bus made its way from the Cornville Regional Charter School on West Ridge Road in Cornville, which is an extension of Malbons Mill Road in Skowhegan. The bus had 10 children of various ages on board. Five of the students were taken to Redington-Fairview General Hospital to be treated for minor bumps and scrapes, and the other five children were unharmed, according to Bucknam. Parents of the children who were on the bus were contacted and arrangements were made for a second bus to pick up the remaining students, he said.